There are many Venice pest control companies for animals out there, but not all of them are licensed and insured professionals. Make sure that you hire a competent expert for your Venice exterminator of wildlife. At Nuisance Wildlife Removal, we will be courteous and friendly and take the time to answer your questions. Give our Venice trappers at Nuisance Wildlife Removal a call, and we will listen to your problem, and make an appointment to perform an inspection. 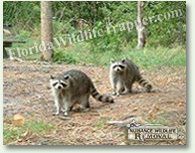 Florida is full of wildlife, including snakes, squirrels, raccoons, opossums, and more. You will need professional Venice snake removal or raccoon control if you can't trap the wild animal on your own and perform full repairs and prevention to keep pests out for good. We perform the repairs and decontamination if necessary. Rats and mice love to live in attics, and can chew wires or leave droppings. In fact Venice wildlife frequently enter homes, and it takes a pest management company to remove them. We are Venice wildlife management experts, and are familiar with all the pest animals, including all species of Florida snakes and bats. We at Nuisance Wildlife Removal are the best among Venice nuisance wildlife companies and can solve all animal damage issues. Our wildlife operators are skilled at bird control and bat removal, and would be happy to serve your Venice bat control or pigeon and bird control needs with a professional solution. Opossums, skunks, moles, and other animals that can damage your lawn - we are the exterminators who can capture and remove them. 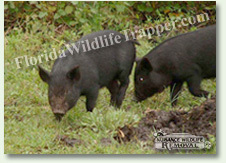 Our professional pest management of wildlife and animals can solve all of your Venice animal control and capture needs. Give us a call at 941-729-2103 for a price quote and more information. Oh, Who Are The Varmints In Your Neighborhood? You Might Be Surprised. By now I have a long and storied history of being plagued by raccoons. I kind of hate them. They raid my feed stores, increase my horses' risk of Equine Protozoal Myelitis (for which there is no cure or vaccine), poop copiously in the back of Alex's truck, and even mount suicide missions to deprive us of electricity and scare me to death. We have a pretty secure henhouse, but extra measures will be taken to shore it up even more. Raccoons, though, are like furry little Terminators of vermin. They just DO NOT STOP. Where some pests will tentatively approach your home and livestock and make opportunistic attacks if they deem it safe, a raccoon will walk right up to you, stare you down, roll you, take your wallet, and THEN eat your chickens. We've tried, previously, setting Havahart traps (live traps) for the raccoons and the feral cats (whom I also HATE) that run roughshod all over us, to no avail. So last week, during the 4 days of bizarre weather (alternating snow, t-shirt weather, snow, t-shirt weather), Alex had the clever idea of baiting an area next to our fenceline, and setting up a motion-sensor gamecam that he normally uses to monitor his hunting spots. The hope was that we'd be able to detect a pattern in raccoon activity, in order to facilitate the trapping and relocating of the main raccoon "family" that is plaguing us the most. Over those 4 days, we got over 400 pictures. And yes, we got plenty of shots of our raccoon nemeses. What we didn't expect was the huge variety of critters who showed up over and over during that short span of time. I'm both fascinated and annoyed. Fascinating: A fox! We had no idea we had a fox around! He's gorgeous! Annoyed: Feral cats and 'possum, which have apparently formed an unholy alliance and are running TOGETHER now. GREAT. Fascinating: Enormous quantities of squirrels and crows. Squirrels and crows are OUT IN FORCE. SUPER ANNOYING: Loose dogs. I'm sure you all know my feelings about people who let their dogs just roam the neighborhood. This is especially stupid in areas where people keep livestock. Your dogs DO NOT BELONG on my property. My dogs aren't on YOUR property, and I bet I have more dogs Than you do. Fun: The whitetail deer family, which we already knew about, having spotted them around the area since we moved in. They appeared like clockwork, at the same times each day and night, and in one frame, we were even treated to dinner and a SHOW!